On 13 May 2011, DRBHCOM break up RM2.24 resistant with high volume. MACD indicator formed bullish crossover. Most probably it will retest RM2.48 high soon. However, if retrace down, it might retest RM2.24 support. 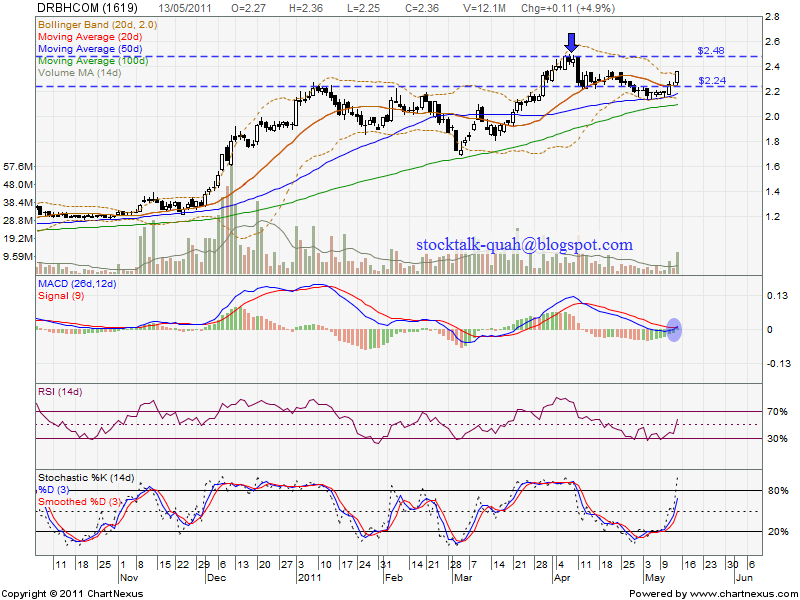 Subsequent support would be MA50 RM2.18 or MA100 RM2.09 level.